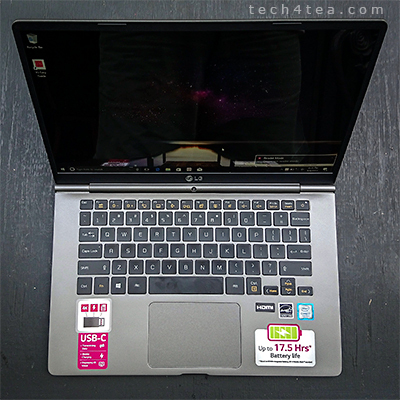 tech4xmas 2017 gift ideas review: LG gram notebook computer « Tech bytes for tea? The only other time I’d felt that way was when I was purchasing a mobile phone in Japan two decades ago. That clamshell feature phone was SO LIGHT that I thought it was a plastic mockup for display purposes only. I had to double-check with the salesman in Akihabara to be sure I wasn’t carrying home a mock-up. 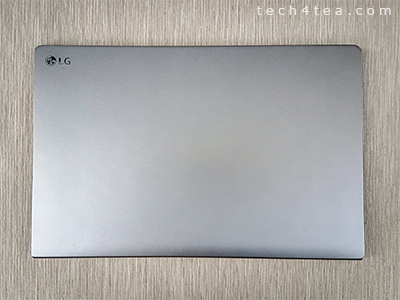 On the left side of the LG gram 14 is a USB 3.0 slot, a full-sized HDMI socket and a USB C port. Till today, I have not been able to shake off that sense of wonderment at how advanced the Japanese were in their mobile phones at that time – in terms of size, weight and price. This was the same sense of wonderment that I experienced when I lifted the LG gram out of the box. The next killer feature of the gram is its battery life – at 60Wh, or 17.5h usage. For most notebooks, the actual battery life is only but a fraction of the promised spec. On the right side of the LG gram 14 is a second USB 3.0 port, a microSD slot and a 35mm headphone jack. Throughout my review period, the gram 14 never ever once went nearly out of battery. Getting the battery down to 50% was an achievement – when a similar usage level would have drained previous laptops I’d reviewed before. I really could go on and on and not have to worry about battery life! Another thing that impressed me was how fast the gram started up – to me it felt almost instantaneous – every time! I’ve tried many flagship laptops before that started up really fast – but none of them even came close to LG’s gram. The LG Red Fair is ongoing until 15 February, 2018. Click on image to enlarge. 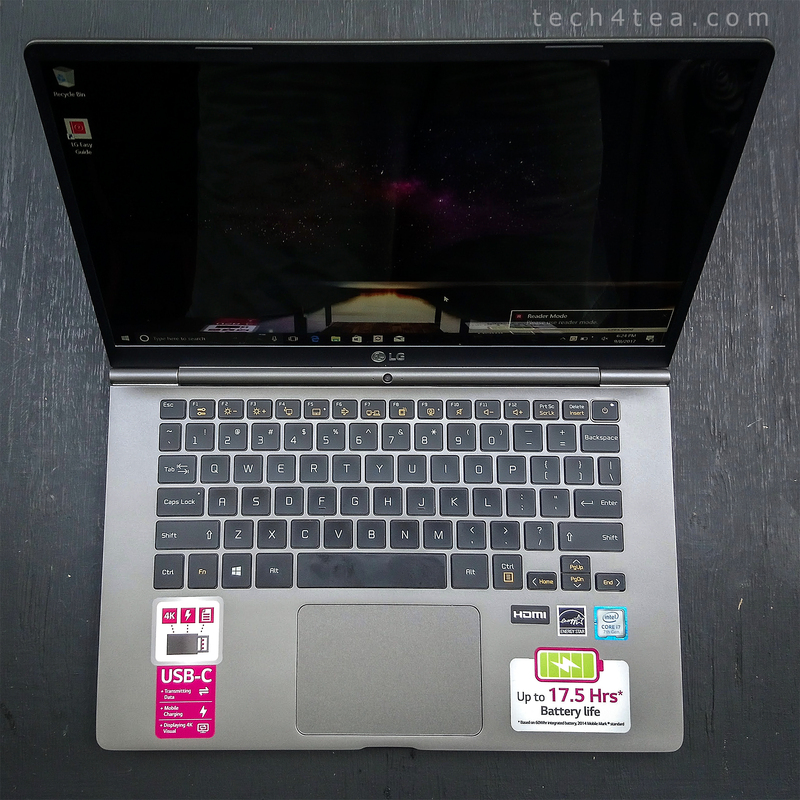 Its Intel Core i7 processor, together with 8GB RAM and 512GB SSD made light work of all the work I did on the notebook – including video editing via Adobe Premiere Pro. Did I mention that the Hi-Fi Audio, driven by Cirrus Logic DAC, sounds great? And to top it all, the gram comes with a full plethora of connection ports – despite its compactness. 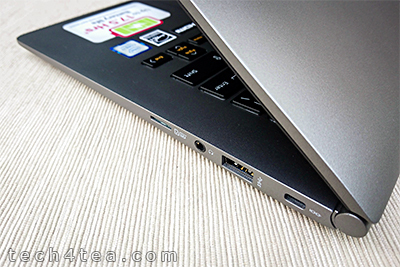 Most Ultrabooks sacrifice connection ports in the pursuit of a sleek profile – trying to emulate Apple’s MacBook Air. They end up with mini-HDMI and single mini-USB ports that leave you wringing your hair out whenever you need to connect the notebook to an external mouse, thumbdrive, disk drive, monitor or projector. Some notebooks include adaptors that squeeze out a couple of extra ports, or leave you to hunt for one on your own – which could end up quite costly. With the LG gram, I did not run out of connection ports for the external devices that I connected to it. 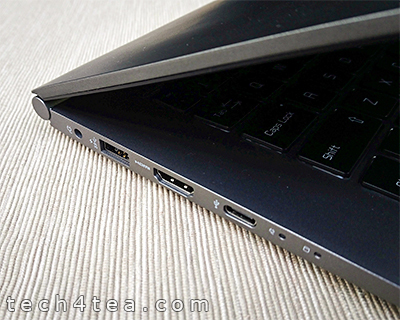 There is a USB-C port, 2x USB 3.0 ports, 1x HDMI port, and 1x microSD slot. Those of you who read my reviews and articles know I don’t usually gush about any device – the first thing I do when I write something from a press release is to strip it of all superlatives. That’s because they are usually over exaggerated, and I’m not convinced what the manufacturers boast are really so extremely good. 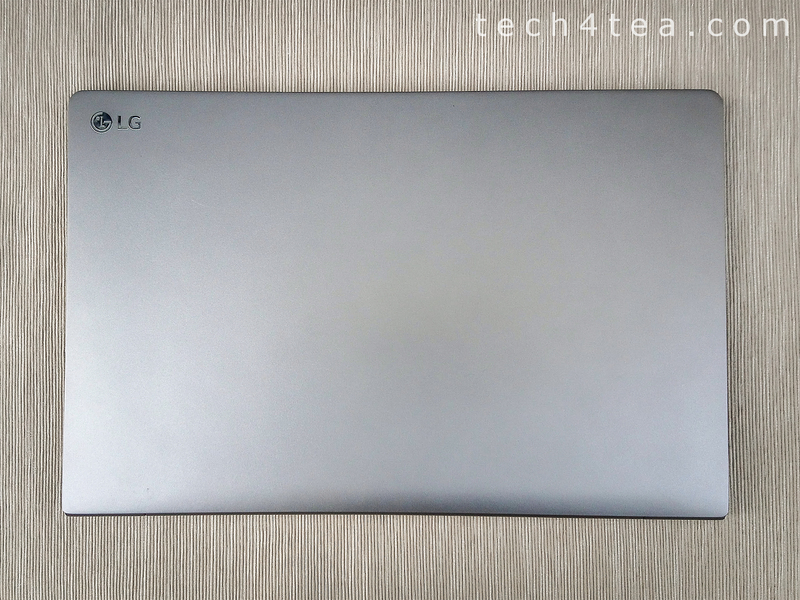 The top cover of the LG gram is kept plain with an understated LG logo on the top left corner. So it’s unusual that I find myself being so impressed with the LG gram. Downsides? The LG gram does not have a touch screen. 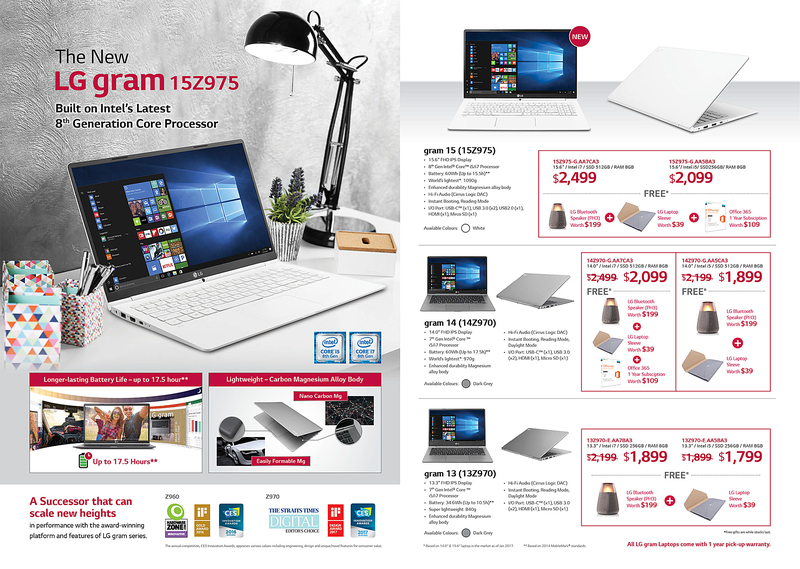 And it has a relatively high price-tag of S$2,499 (see sidebar on current promotional price at S$2,099), which isn’t really that high when compared with the prices of flagship notebooks from other makers. But with what it offers, it’s definitely worth more than what it’s priced at, and I would certainly fork out the dole for it. Naturally, it wouldn’t hurt if it made its way to my X’mas tree this Christmas! 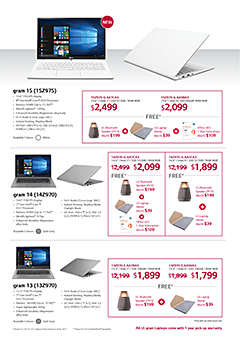 This entry was posted on Thursday, December 21st, 2017 at 9:18 am and is filed under Gadgets, gadgets, LG, Notebooks, notebooks, Prices, Promotions, Review, reviews, Specifications, Ultrabooks, Windows, Windows 10. You can follow any responses to this entry through the RSS 2.0 feed. You can leave a response, or trackback from your own site.